On July 26, 2011, Marilyn Romano joined Alaska Airlines as its Regional Vice-President, Alaska. Marilyn oversees public affairs, corporate giving, sales and marketing, and governmental affairs in Alaska, in addition to interacting with the 1,800 employees throughout the state. Alaska Airlines flies to 19 communities in the state, only three accessible by road, making air transportation as vital as a highway system is in the rest of the country. Prior to joining Alaska Airlines, Marilyn spent nearly two decades at the Fairbanks Daily News-Miner, and was the publisher for 11 years, serving as the seventh publisher in the newspaper’s history, and its first female top executive. 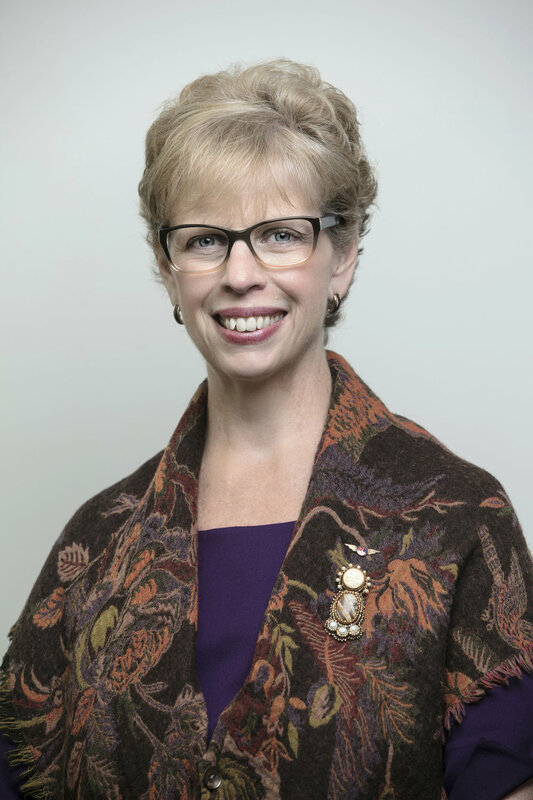 Currently, Marilyn is past-chair of the Anchorage Economic Development Corporation board of directors, a board member of the Alaska State Chamber of Commerce, and the statewide board of the American Heart Association. She also serves as a member of the University of Alaska Foundation board of trustees. In March of 2014 Marilyn was inducted into the ATHENA Society, which honors female leaders who work to set an example for the next generation of leaders. She graduated on June 5, 2017 with Executive MBA from the University of Washington. Mrs. Romano has served on the AES Advisory Board since 2018. Rachel Cox is an associate in Stoel Rives’ Environment, Land Use and Natural Resources practice group. She represents industries, municipalities and trade associations in permitting, compliance and enforcement matters arising under state and federal environmental laws. Rachel focuses her practice on Clean Air Act permitting, compliance and enforcement defense. Rachel graduated with honors from Lewis and Clark Law School, earning a Certificate in Environmental and Natural Resources Law. While there, she served on the editorial board of Environmental Law, the nation’s oldest law review dedicated solely to environmental issues. As an environmental engineering major, Rachel has the scientific background and expertise to comprehend the technical issues clients face and provide comprehensive legal counseling tailored to their needs. Ms. Cox has served on the AES Advisory Board since 2018. Dr. Brendan P. Kelly is Executive Director of the Study of Environmental Arctic Change (SEARCH) and Research Professor at the International Arctic Research Center, University of Alaska Fairbanks. As a marine ecologist with a focus on sea ice environments, he has participated in and led collaborative research in the North Pacific Ocean, the Arctic Ocean, the Sea of Okhotsk, the Baltic Sea, and Antarctica. He has served on numerous national and international science panels and as a science adviser to indigenous organizations in Alaska. As SEARCH Director, Dr. Kelly draws on 40 years of experience in Arctic research and policy to align and coordinate scientific research in the Arctic with the needs of people. His previous positions included serving as a professor, dean, and vice provost at the University of Alaska in Fairbanks and Juneau; Deputy Director for Arctic Sciences, National Science Foundation; Assistant Director for Polar Science in the White House Office of Science and Technology Policy, and Chief Scientist of the Monterey Bay Aquarium. Currently, he serves on the National Academy of Sciences’ Polar Research Board and as a Senior Fellow at the Center for the Blue Economy, Middlebury Institute of International Studies at Monterey. Dr. Kelly received degrees in Biology from the University of California Santa Cruz (B.A. ), the University of Alaska Fairbanks (M.S. ), and Purdue University (Ph.D.). Dr. Kelly has served on the AES Advisory Board since 2017. Fran Ulmer is chair of the U.S. Arctic Research Commission, where she has served since being appointed by President Obama in March 2011. From 2007 to 2011, Ms. Ulmer was chancellor of Alaska's largest public university, the University of Alaska Anchorage (UAA). Before that, she was a Distinguished Visiting Professor of Public Policy and Director of the Institute of Social and Economic Research at UAA. Ms. Ulmer served as an elected official for 18 years as the mayor of Juneau, a state representative, and as Lieutenant Governor of Alaska. She previously worked as legal counsel to the Alaska Legislature, legislative assistant to Governor Jay Hammond, and Director of Policy Development for Alaska. She has served on numerous state and national boards and commissions, and currently is a member of the Global Board of the Nature Conservancy and the Board of the National Parks Conservation Association. Ms. Ulmer has served on the AES Advisory Board since 2017. Mead Treadwell is President of Pt Capital, the northernmost registered investment bank in the US and the first private equity fund focused on investments across the Arctic. He served as Lt. Governor of Alaska from 2010 to 2014, and coordinated Alaska's work in the Arctic Council. He was a leader in Alaska's efforts to preserve Alaska Native Languages. He co-chaired the State Committee on Research and chaired the Aerospace States Association. From 2001 to 2010, Treadwell served as Commissioner on the US Arctic Research Commission. He was designated chair by President Bush in 2006 and, as chair until 2010, worked with both Presidents Bush and Obama to craft and implement the U.S. Arctic policy adopted in 2009. Treadwell is a graduate of Yale College and the Harvard Business School. He is a frequent writer and speaker on Arctic policy, and recently proposed a new Arctic shipping regime modeled after the bi-national St. Lawrence Seaway the U.S. and Canada share as a path from the Atlantic to the Great Lakes. Mr. Treadwell has served on the AES Advisory Board since 2017. Beth Kerttula recently completed her assignment as Director of the National Ocean Council, where she oversaw the Council’s efforts to implement the National Ocean Policy. In this capacity, she worked closely with stakeholders and the nine national marine regions to facilitate regional marine planning and other ocean management activities. She came to this position from Stanford’s Center for Ocean Solutions, where she was a visiting fellow working to bring together policymakers from multiple disciplines to discuss the critical interplay of oceans, climate change, and society. Beth is a 15-year veteran of the Alaska House of Representatives, where she served as Minority Leader from 2006 to 2013, and has held positions in the State of Alaska Attorney General’s Office. An attorney, Beth has served as the Alaska State Bar Board of Governors President and was on its Board of Governors for six years. Beth was the original sponsor of landmark cruise ship pollution legislation as well as other important environmental bills. She also led efforts to defend and improve the Alaska Coastal Zone Management Program and supported research efforts by the University of Alaska on ocean acidification and community sustainability. Beth was also a member of the State of Alaska's first Arctic Policy Commission, which created Alaska's first Arctic policy recommendations for the state legislature. Mrs. Kerttula has served on the AES Advisory Board since 2017. John D. Reeves joined Elliott Bay Design Group in 2015. A highly skilled engineering leader and mariner, he brings extensive field experience gained through 23 years of operating and maintaining some of the most complex vessels in the U.S. Coast Guard fleet, including serving as Captain of the USCGC HEALY. John's wide-ranging background includes five years as port engineer and manager of four industrial repair facilities, serving as an Associate Professor in Naval Architecture and Marine Engineering at the U.S. Coast Guard Academy, and more than a decade at-sea providing service on and maintenance of a variety of vessels, from salvage ships to the world's most powerful non-nuclear icebreaker. Operations included living marine resources and law enforcement, search and rescue, icebreaking, and high latitude scientific research. Captain Reeves has served on the AES Advisory Board since 2017. Daniel works as a licensed doctor of optometry in remote Alaskan communities, most of which are not accessible by the road system. He arrives by bush plane, boat, or snow machine to set up portable eye clinics in local schools, community centers, Native Corporation buildings, or just about anywhere that will have him, in an effort to provide access to quality eye care. When Daniel is not doing eye exams, he works as a professional photographer and social media strategist. His goal is to help Arctic Encounter Symposium celebrate the beauty of the arctic and the creativity of its communities. Daniel is a featured artist with TinkerStreet*, an international collective of professional digital content creators and top social media influencers. Past and present photography clients include: Airbnb, Lincoln Motor Company, DSW, eBay, Mercedes-Benz, Urban Outfitters, Ticla, Warby Parker, American Express, Acuvue, Stanley Brand, and Urban Outfitters. Dr. Volland has served on the AES Advisory Board since 2017. Corey Mulder is the Creative Director for Image Media (IM), a full service creative agency in Anchorage, Alaska. Their clientele range from political candidates, private entities to non-profits and government organizations. Prior to opening IM, Corey worked for an international Luxury Real Estate media firm in Melbourne, Goldeneye Media Australia. Image Media (IM) was first established by Corey Mulder in 2015 under the name GEM Alaska. Over the past three years, Image has become recognized as an up and coming creative agency in the State of Alaska, providing media services for numerous political campaigns, private entities, non-profits and government organizations. Unique understanding of Alaskan politics and a bespoke approach to messaging has lead Image to develop lasting working relationships with clients throughout the State. Image Media is a full-service Creative Agency, having year-round o ices in Juneau and Anchorage. The agency has 4 full time team members and 4-6 part-time members. Corey Mulder has served on the AES Advisory Board since 2017. Keri Scaggs first came to Alaska in 1998, singing in Nome during the Iditarod. What began as a job became a life-changing experience, due to the hospitality and open-mindedness of the Great Land. In 2002, as her network grew, some black and white photos she’d taken for fun made their way into the hands of the folks at CIRI. She began marketing artwork exclusive to the Talkeetna Alaska Lodge and had the opportunity to work with Brad Washburn on a recreation of the Alaska Range Mountain Identification Guide. As that market began to change in 2008, she invented a new and unique way to smoke salmon, combining her Kentucky roots with the implementation of bourbon barrels. During the course of that venture, she connected two dear friends who joined forces with the President of Iceland to form the Arctic Circle. It then became clear that in spite of her creative endeavors her true gift was in consulting and connecting. To date she works with various clients on issues pertaining to Alaska and the Arctic, including Guggenheim Partners Asset Management and Crowdfunder and is proud to call Anchorage home. Ms. Scaggs has served on the AES Advisory Board since 2017.